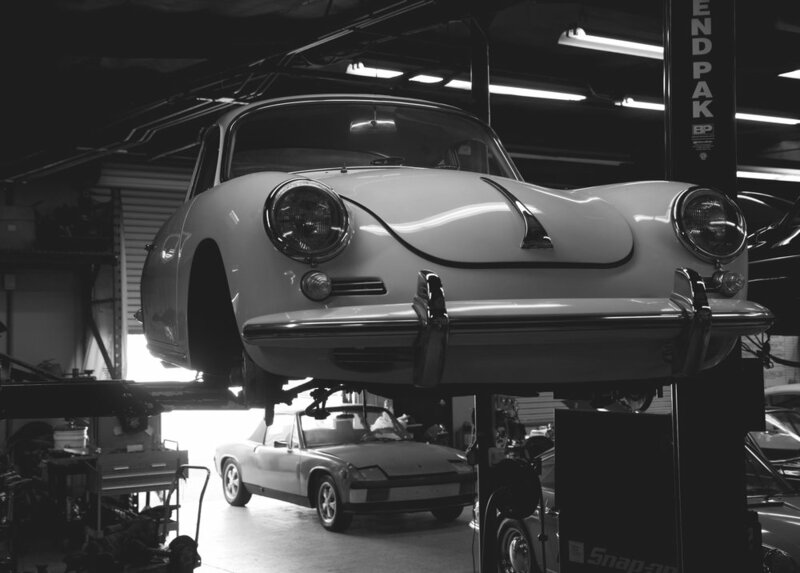 Benton Performance is a haven for aircooled Porsches, based in Anaheim in Southern California. The brainchild of John Benton, the shop has been around in various forms for the last 30 years, previously being located in La Habra and La Mirada. With many years’ experience under his belt, John has built an establishment that regularly crops up in conversation whenever someone is looking for work to be done to their aircooled conveyance. Whether you’re looking for a full body-off, concours–level restoration or just want some more guts from your flat-4 or flat-6, Benton Performance is more than equipped to serve your needs. The simple answer is pure passion. Over the years, Benton Performance has attracted a tight-knit group of talented individuals who are masters of their trade. With a healthy mix of motor oil flowing through their veins and a deep-rooted affinity for the Stuttgart crest and all things aircooled, these people make Benton Performance what it is today. Having worked on 911s, 912s, 356s, 964 RS Americas and even a La Carrera Panamericana racecar, they are yet to turn anybody away for a job that is too difficult to accomplish. Our facility is located in Anaheim, at the heart of Orange County. A 6,800 sq.ft. facility that boasts four lifts, a dedicated engine section, exhaust/suspension area and a fully-stocked parts department, we have the tools, the expertise and the enthusiasm that your aircooled steed needs. Make an appointment today and see what we can do for you.